We are finishing off the last few bits of work before we put our feet up and enjoy the festive period. This year has gone by so fast! One minute we were preparing ourselves for the Eclectic Wedding Extravaganza early on in the year to finishing off the last Christmas bouquet order last week all within a blink of an eye. 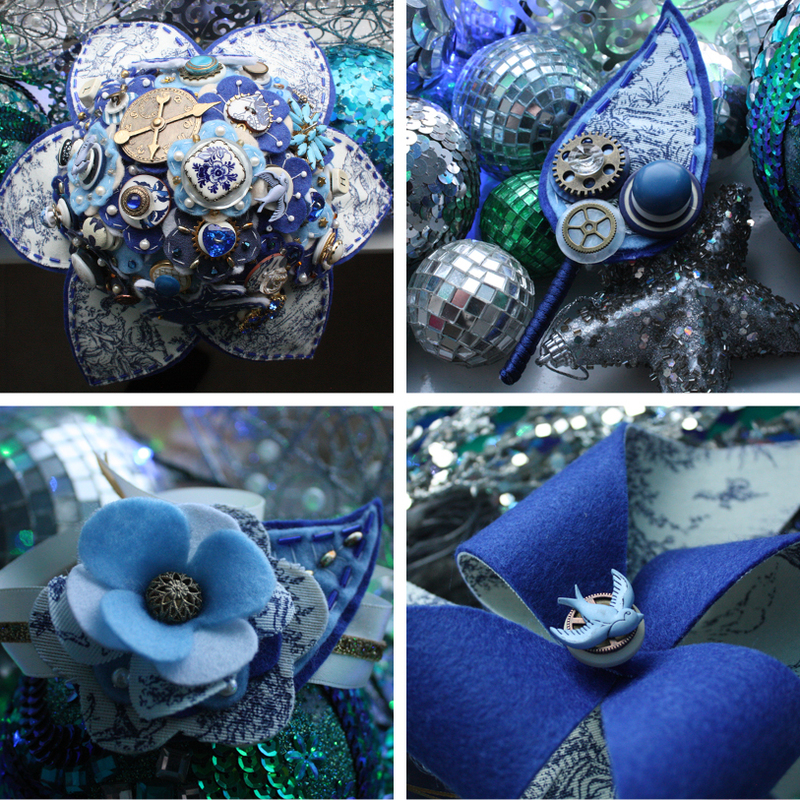 We want to 'Wish you all a Very Merry Christmas and have a Wonderful New Year', thank you for all your support whether it's ordering a bouquet with us or simply 'liking and sharing' our work. To recieve such lovely comments is always rewarding and we can tell you that some testimonial's have even made our eyes water a little bit. We put our heart and soul into every order we do no matter how big or how small as we love what we do and we hope this shows through in every piece of work we create. Here are a selection of images to give you an idea of some of the projects we have worked on in 2016, so grab yourself a drink and have a good browse. Cheers! 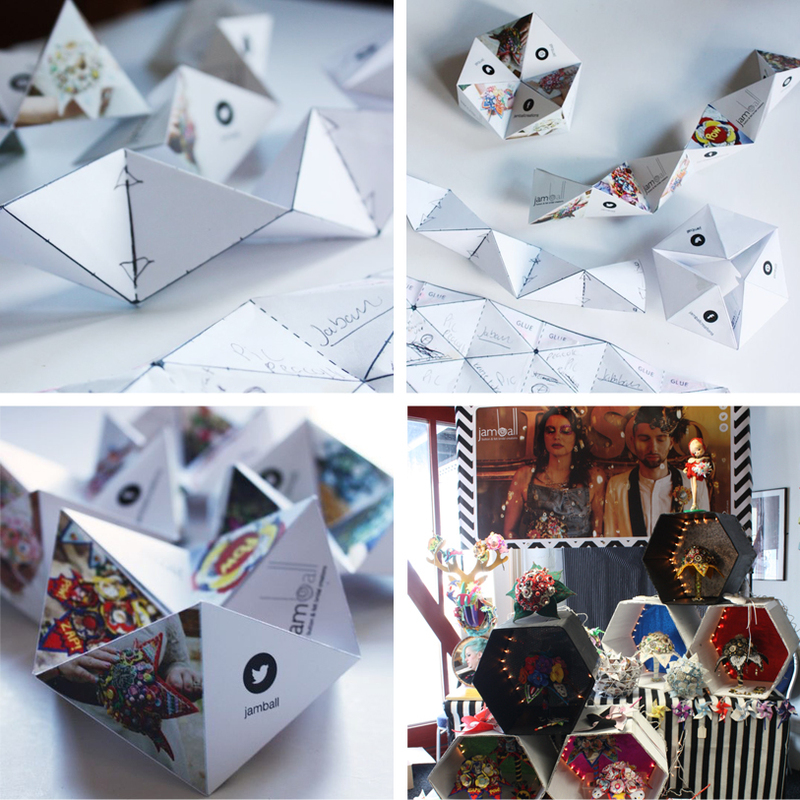 Preparations for the Eclectic Wedding Extravaganza, creating our 3D leaflets and the stand on the day. 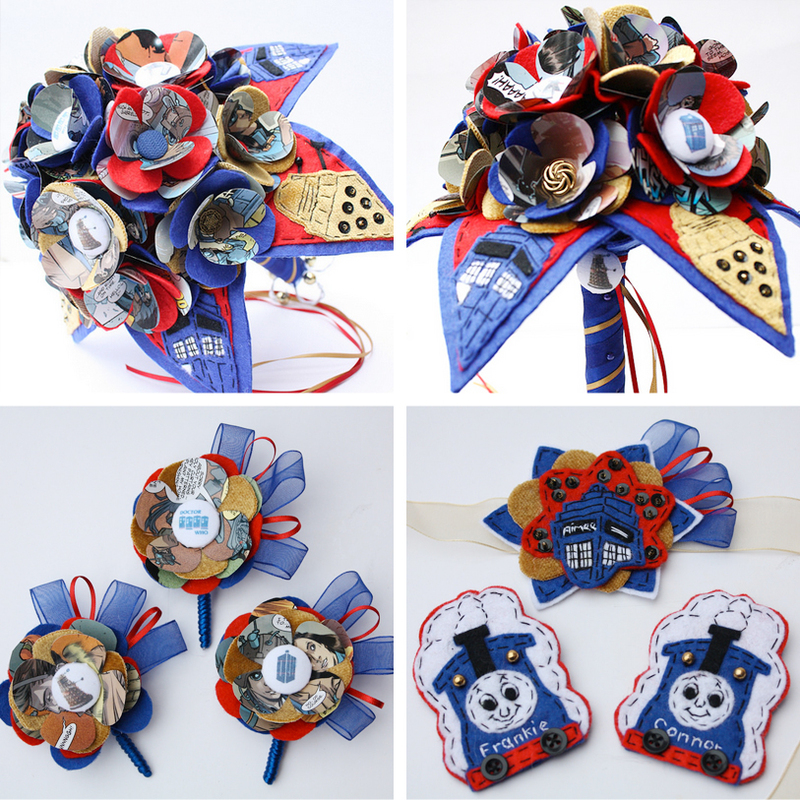 Our first Doctor Who bridal order happened this year, we were thrilled to work on this. 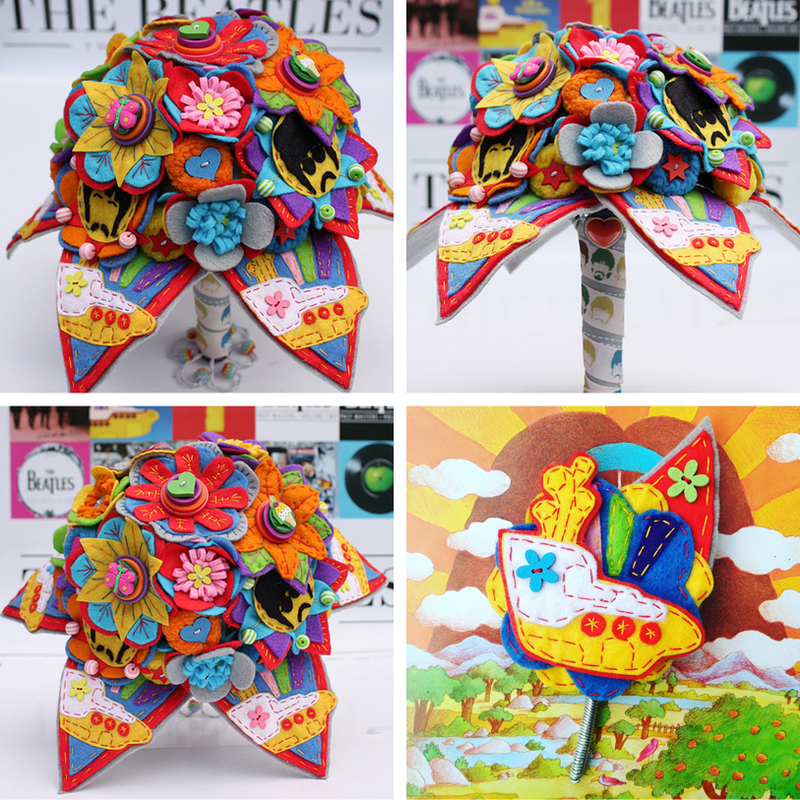 Who doesn't love The Beatles, we created this Yellow Submarine bouquet with matching corsage. 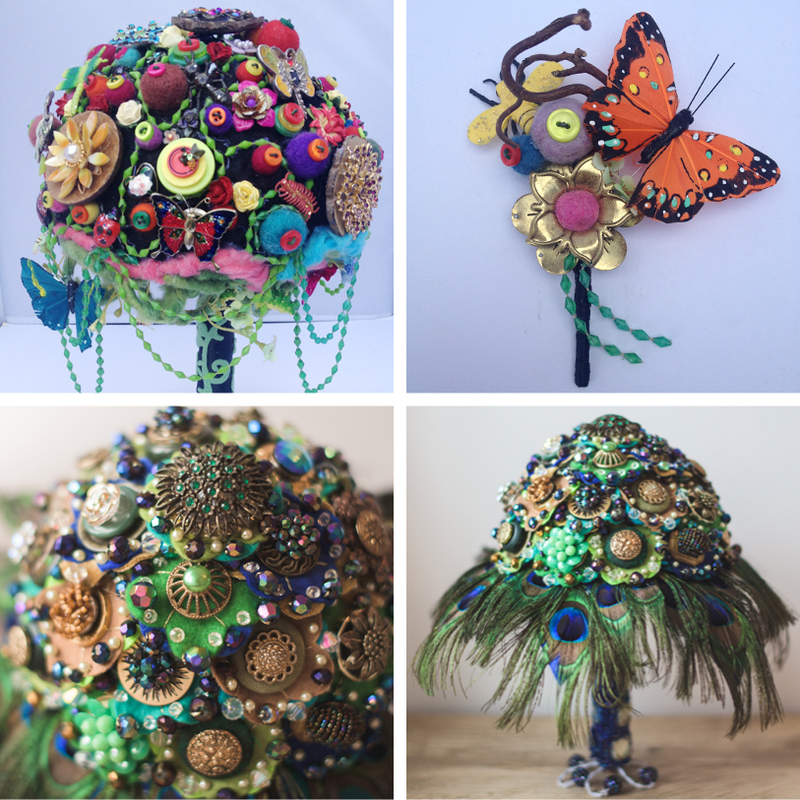 Our Marvel figure buttonholes went down a storm at The Eclectic Wedding Extravaganza and the buttonhole pictured here is one of the competition winners at the fair. 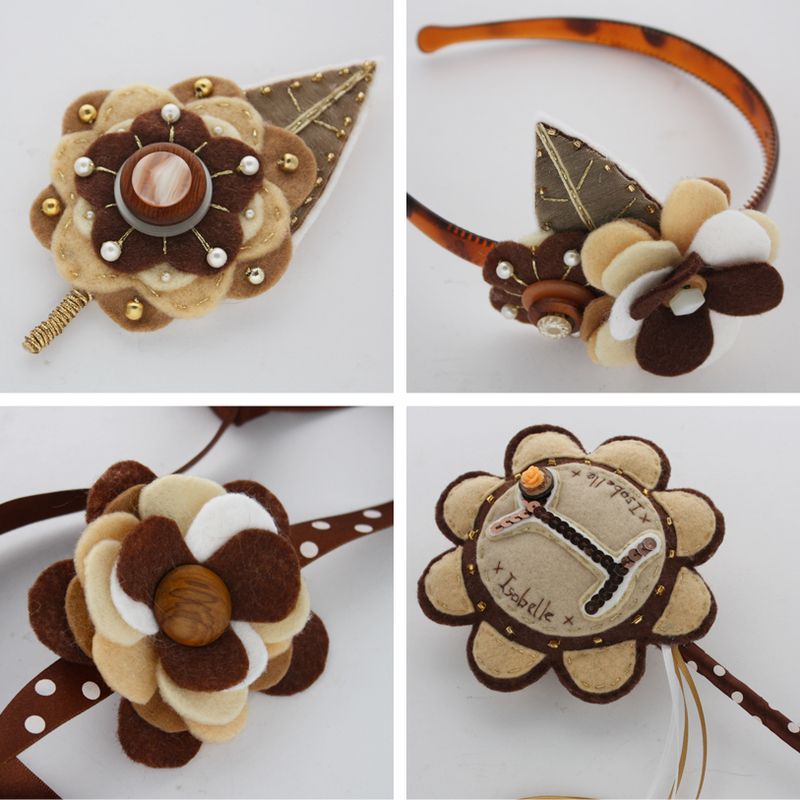 Our Chocolate inspired bouquet was snapped up in the Summer Sale we had, they loved it so much they asked us to create matching accessories. 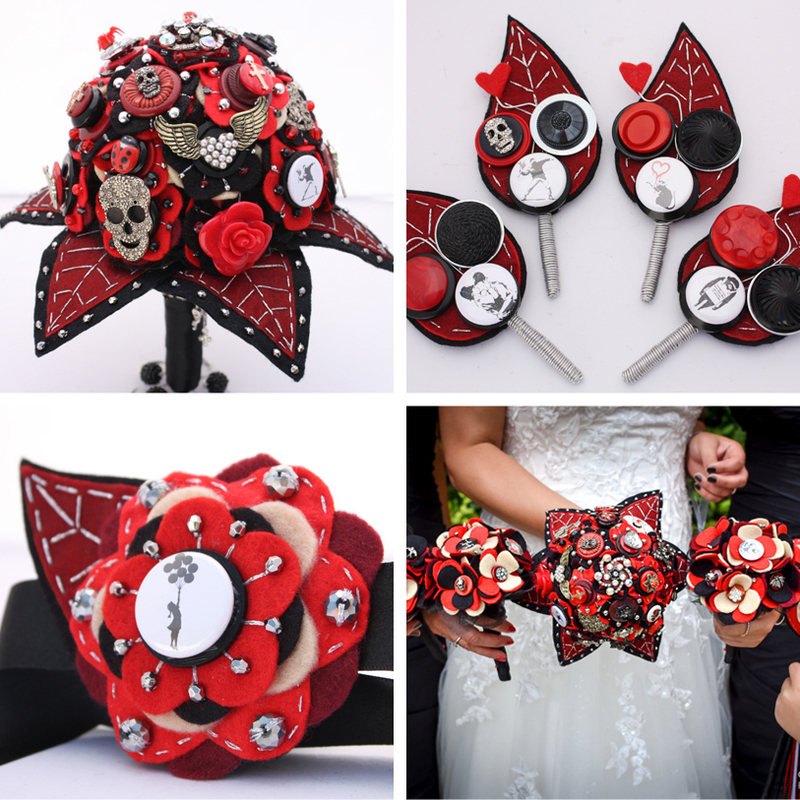 Mel contacted us after searching bouquets on google and came across our website, so this year we created her bespoke bridal order with a Banksy theme. 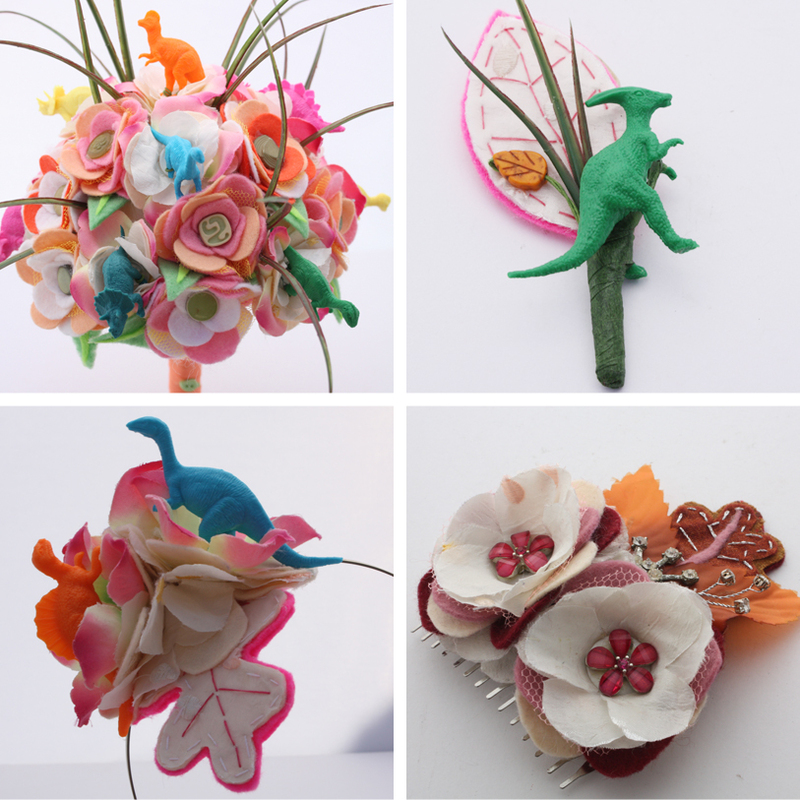 This year we realised we didn't have a dinsosaur bouquet so we challenged oursleves to create something beautiful & quirky, this will be heading to the next wedding fair in 2017! On the botton right we created this pretty Autumnal hairsalide for a bridesmaid who was heading over to America for sisters wedding. 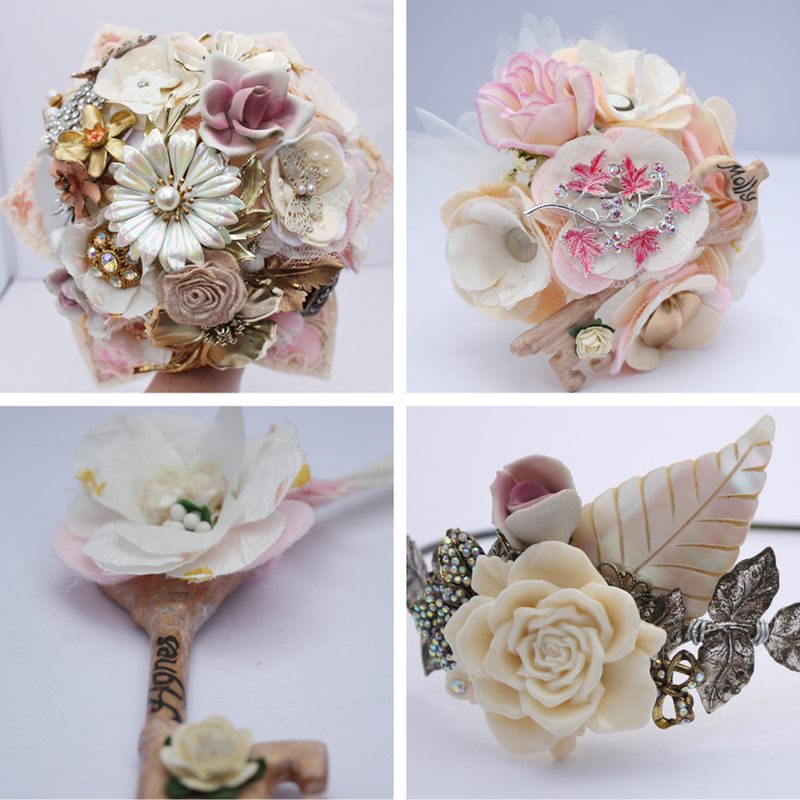 Emma had a huge collection of vintage brooches and sent them to us to create her blush rose inspired bridal order, so pretty! 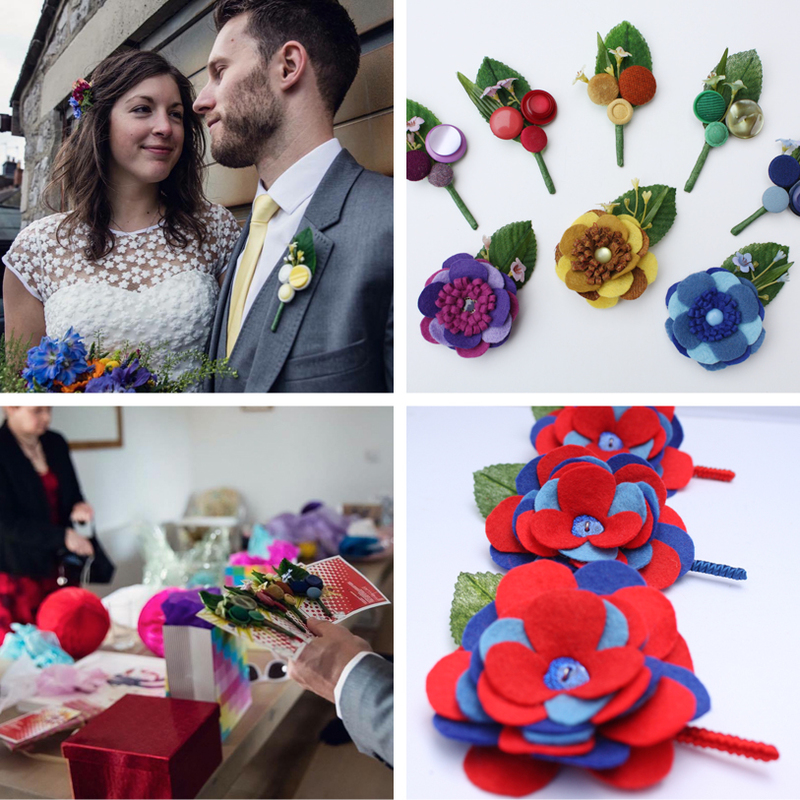 The lovely Charlotte managed to catch us before we started packing up The Eclectic Wedding Extrvaganza, she was having a real flower bouquet but ordered a selection of Summer inspired buttonholes & corsages. 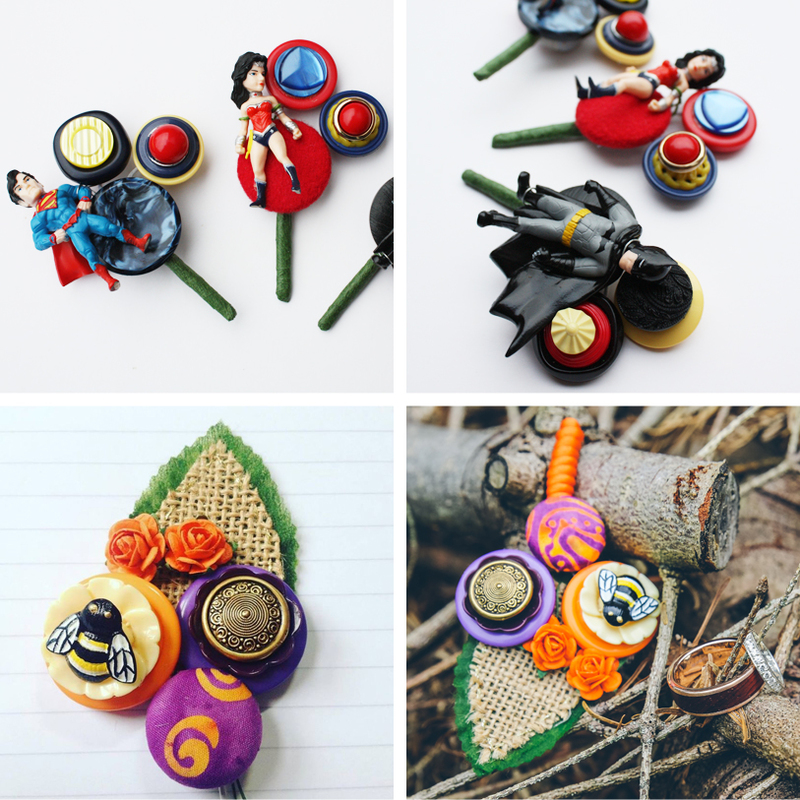 We created this selection of 'POW' brooches above for a bridal party which were really fun to make. 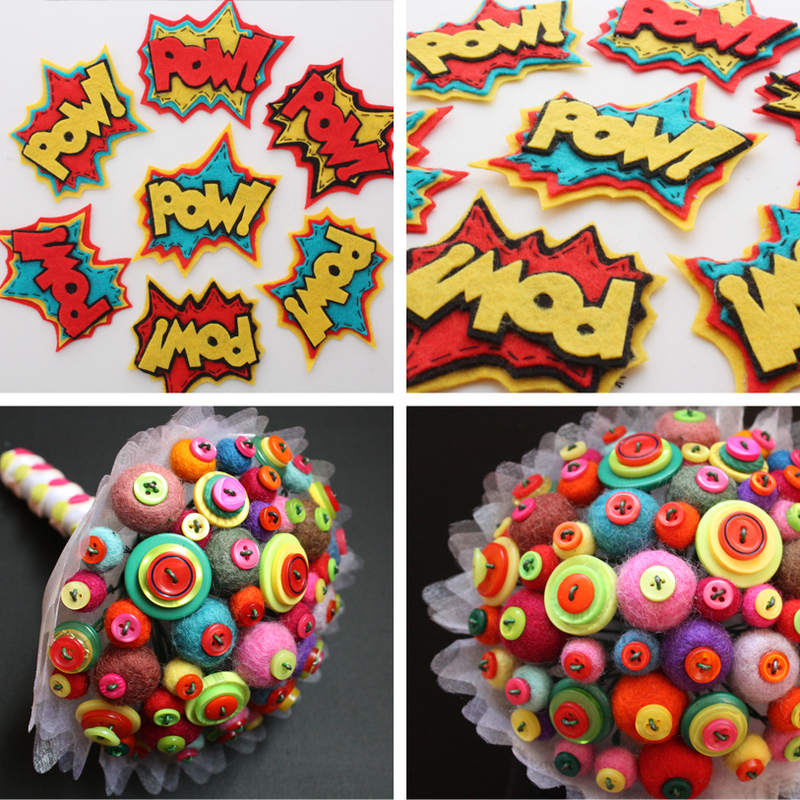 Check out this super bright and cute button bouquet, more details coming soon! A forest inspired bouquet with matching bouquet on top and a peacock inspired bouquet below. 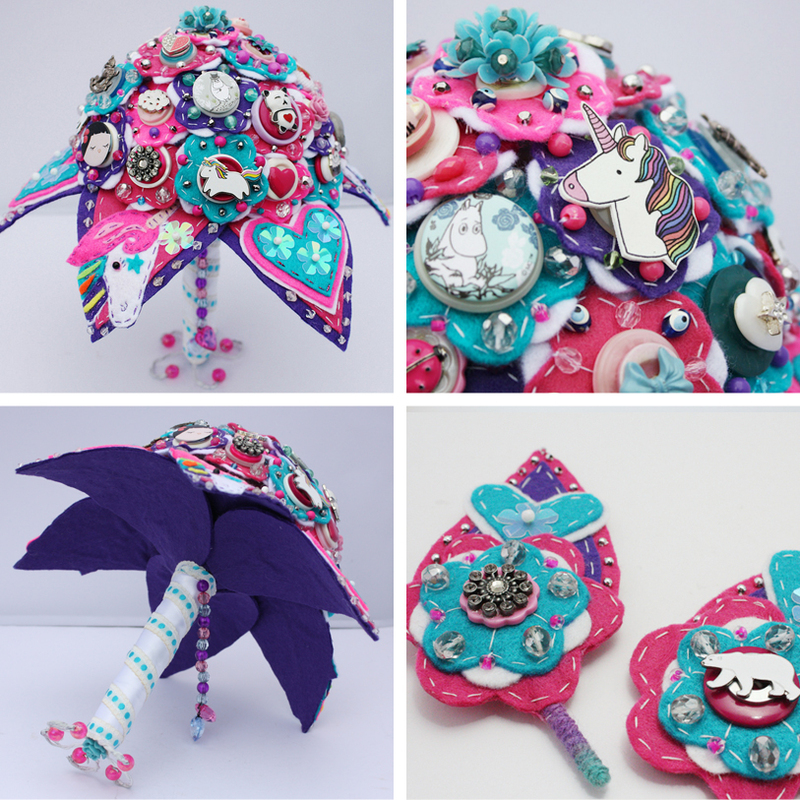 When Caroline contacted us after seeing our bouquets on display at The Couture Company and told us her theme was 'unicorns' & 'The Moomins' we were mega excited. This was a real fun bouquet order to work on.